Surely they’re three different disciplines, aren’t they? If you believe that, you may be experiencing issues with all three. Taking content marketing first, how did you get started with that? I’m guessing it was a blog. When you started out online, everyone and their dog were telling you that you had to have a blog. So, never one to turn down advice, you set one up and started churning out articles. Probably, after a month or so of regular posting, you found your ideas drying up. Not only that, but you realised no one was really engaging with you. Perhaps one or two comments were posted and one or two people shared the odd post, but there certainly wasn’t the flood you’d expected. Demoralised, you gave up. The mistake you made was viewing your content marketing, social and SEO strategies as three separate entities. They’re not. They must all work together if they are to survive. Have you noticed that old school SEO is no longer effective? Gone are the days when SEO companies could achieve fantastic rankings by building a few links here and there. 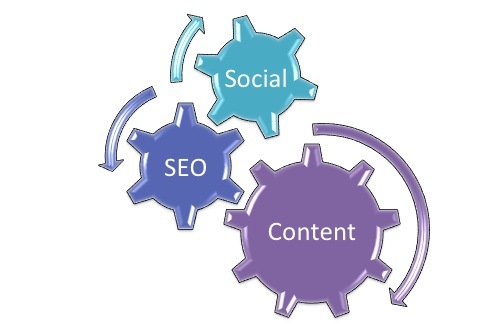 Today, SEO is content driven. It’s all about feeding Google the high quality content it craves. In the same way, your social media strategy is nothing without great content. If you don’t have anything to share people aren’t going to follow or engage with you. With high quality content being the driving force behind your marketing strategy, it’s essential you plan what you’re writing carefully. As with your web copy, brochures and other marketing materials it’s important you understand the audience you are reaching out to and, most importantly, what problem they want solving. Only then can you be sure your content will resonate with them and lead to the sharing, engagement and traffic generation you want. Of course, there are millions of blog posts published every day, so yours has to stand out. A great way to make sure yours is head and shoulders above everyone else’s is to search the keywords you want to write about and see what your competitors are saying about the subject. Then all you have to do is write something that’s better than theirs. But I’m not just talking about churning out a flurry of 500 word articles. You must produce linkable assets; content that people will see as authoritative work, that they’ll share and talk about. A great way to do this is to create something longer than the average post that also cites other relevant work within your niche. Not only will this enhance your readers’ experience, it will also boost its chances of being shared. Well, take a note of all the experts and external material you’ve cited and email them (or contact via social media) to tell they you’ve included them in your piece, asking them to share it with their audiences. Once published you’ve also got to do some promotion. Share it with your social audience through all the channels you use. Plus, if you’re part of any forums or groups (such as LinkedIn groups), push it out to them too. It’s not enough just to write something, publish it and hope for the best. Your three-pronged content marketing strategy is something that must be worked at. If you want people to read what you’re putting out make sure it’s written well, it’s relevant to your audience and that you’ve done everything you can to encourage people to share it. Only then will you have a strategy that drives your business forward. Author: Sally Ormond, Copywriter at Briar Copywriting Ltd.
Social media is a must for any business these days. It’s a fantastic way to have immediate contact with your customers, interact with them and develop long lasting relationships. That word, ‘relationships’, is very important, which is why I’m dumbfounded at the number of companies that farm out their social media activities. 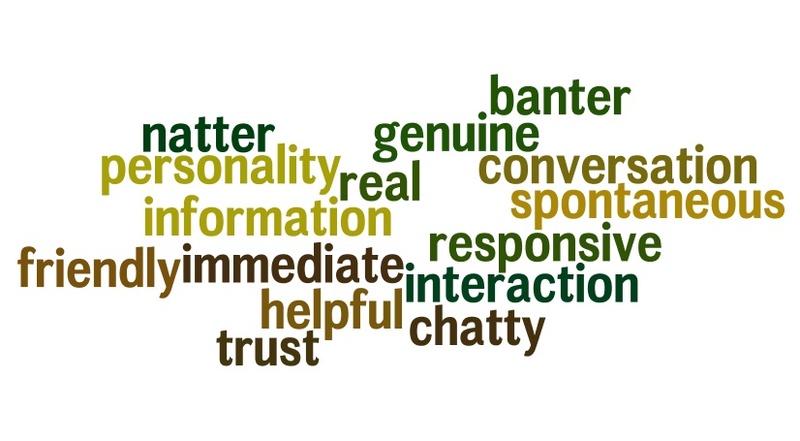 As the image above shows, social media is all about interacting, chatting, having a bit of banter and generally conversing with your customers. Your customers follow you on Twitter and Facebook because they want that immediacy of contact, they want to feel part of your business and they want to be able to talk to you whenever they want. Granted, social media can be time consuming (if you let it), but that’s no excuse to get someone else to do it for you. If you followed your favourite celebrity on Facebook or Twitter, how would you feel if you posted something and they responded to you? On top of the world probably. But how would you feel if you later discovered that the celebrity in question hired someone to write the tweets and updates for him or her? What you thought was a personal message from them was in fact nothing other than a response from a faceless person. Well that’s how your customers will feel if they knew their messages weren’t being read by you or responded to by you. Any trust they had in you would be eroded beyond repair. The whole point of social media is to be able to instantly reach your customers with news, information and updates. If you hire someone to do that for you they have to phone or email you to find out what’s happening, wait for you to reply, then put out tweets and updates. What’s the point? In the time that took, you could have sent out the update yourself. 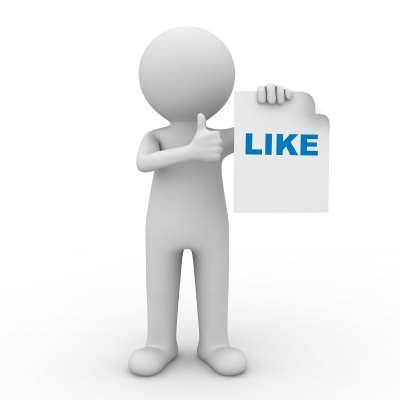 For me, one of the greatest aspects of social media is the way you can show the personality behind your business. People can get to know you, like you and trust you. But if you’re not the one sending out the tweets and updates, how can your customers really get to know you? It’s not your personality that’s coming across so there will be a disconnect between what they read and what they see when they meet you or do business with you. Stop outsourcing your social media and talk to your customers. It doesn’t have to be time consuming and, assuming you have a smartphone it can be done anywhere. Social media is a revelation. It is immediate, interactive and great fun. Now you can chat with your customers any time, any where and you can ‘get’ to those hard to reach decision makers who have always hidden behind an impenetrable wall of secretaries. But with all the different platforms about, it can be difficult to make sure you’re getting the most from them. Well, as usual I’ve been scouring the Internet to find some tools that will help you use social media more effectively. My search led me to Social Media Examiner who have asked a gaggle of social media professionals for their take on their favourite social media tool. You can read more about them and what they can do for you here. Over the years social media has changed – a lot. Not only has the variety and functionality of the platforms increased so has the public’s buy-in, making social media part of every day life. There are oodles of posts out there that report on user statistics, but one I stumbled across on Econsultancy really blew my mind. It looks at the growth of social media over the past three years. It’s only when you see comparative stats like those that you fully grasp how social networking has grown over the years. Irrefutable proof that, if you don’t already have a social media marketing strategy, you need one. Everyone knows that content marketing is the way to go. With SEO becoming more social, it’s essential that businesses start to get great information out to their potential customers, to remain visible in the search results. But what do you do when it’s ‘out there’? Do you tweet a link and leave it at that? No, you must engage in smart marketing. It’s up to you to produce marketing that your customers want – useful information that builds trust and engagement. Shouting about what you’re doing through social media will help get that information out to a wider audience. You’ll know if you’ve hit it right because your followers and Facebook fans will then share it. If your information is useful, relevant and valuable to them, then they will share it for you. This will get it out to a wider readership who’ll then share it with their friends too. And so it goes on until, before you know it, your audience of a few hundred has transformed into one of thousands. That’s how the smart marketers do it. They leverage their own audience to push their message out further. Then share it through your social media channels and watch what happens. Of course, not every piece of content will strike gold, but when one does take a look at why it worked so well and replicate it.